Today was the last day of Chocolate and Ginger Theme Week. And I chose two gluten-free cake mixes that incorporated these two flavors. 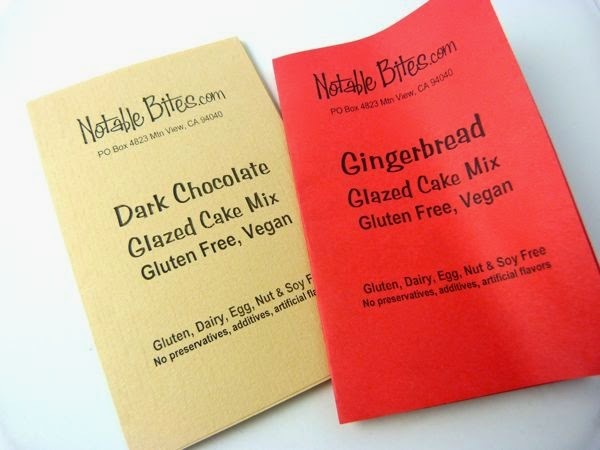 I consulted with Wendy at Notable Bites (Mountain View, CA) on the best way to combine her Gingerbread and Dark Chocolate gluten-free, vegan cake mixes, that are small and easy to make -- perfect for two people to share. Each mix came with its own small foil pan. I just needed to add two Tablespoons of vegetable oil per cake mix and, if to keep it vegan, my choice of dairy-free milk (chocolate almond milk). No eggs were required. 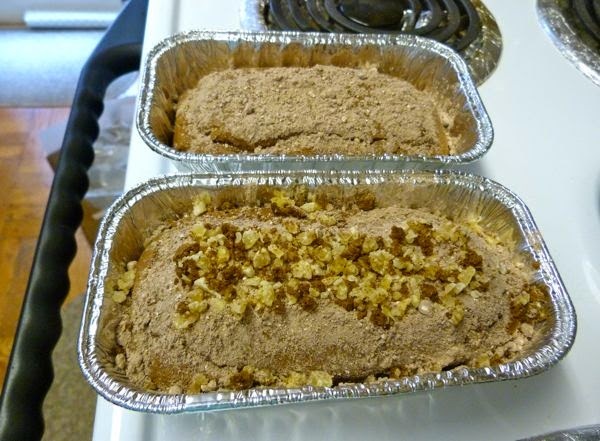 As far as combining these two mixes to make a chocolate gingerbread cake, Wendy suggested switching (glaze) toppings that come packaged with the mixes -- e.g. 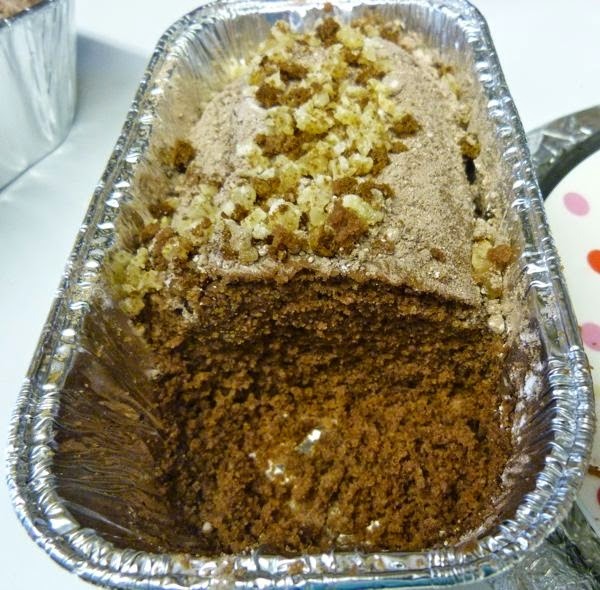 giving the gingerbread cake a chocolate glaze. Wendy wisely recommended coconut oil as the vegetable oil of choice to add. I couldn't agree with her more. If you like coconut, I highly recommend using the more aromatic (and less processed) unrefined, extra virgin coconut oil; it smelled and tasted wonderful with this mix. In the end, I blended the two cake mixes together, and poured the combined mix back into the two pans to bake. And to amp up the ginger flavor a bit, I added my own ginger crumb topping with the dry chocolate glazed mix, finely chopped candied ginger chips and gluten-free ginger snap cookie crumbs. I'd suggest following the instructions the first time through, but I enjoyed experimenting and embellishing a bit.